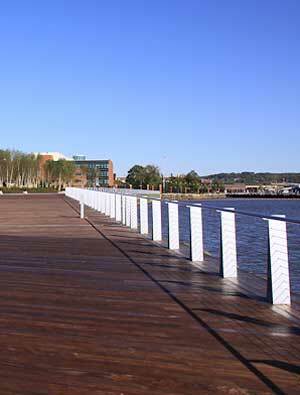 Is Your Waterfront a Back Door or Front Door? 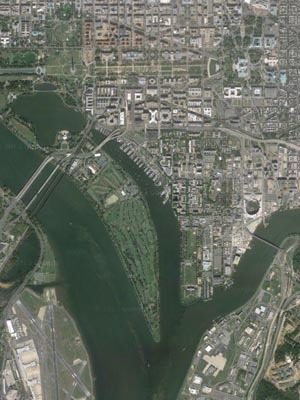 Municipalities have traditionally lined their waterfronts with factories, industry, and in the case of a portion of D.C.’s Potomac river, a lot for garbage trucks and towed vehicles — clearly all back doors. Sternlieb asked the audience how many people remember having their cars towed to the Georgetown Port City waterfront lot? Quite a number of people, it turns out, as people raised their hands, laughing. But this isn’t what the majority of people want on their water fronts, as the desire for direct and walkable access to the waterfront grows. In fact, as Brandes mentioned, just 10 years ago, there wasn’t any rowing along the Anacostia, where as now “there’s a vibrant community.” So what does it take to make these changes? A challenge with D.C.’s waterfronts is dealing with different governmental agencies who are hesitant to make changes without first having a study. For instance, Sternlieb told the story of how the National Park Service was initially lobbied for recreational non-motorized boating activities along the river in 1984. 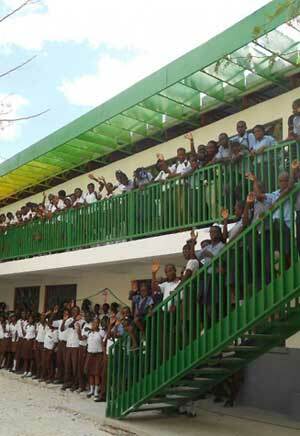 Overwhelmingly, people supported the initiative. In 1989, they conducted another study, the result of which was that even more people support the idea. And on this cycle went, every few years, until their most recent non-motorized boating study in 2013 that found there is “enormous demand” for recreation of this type, yet they still haven’t “built a single structure to do it.” In fact, said Sternlieb, the demand is so high there’s not enough land to accommodate it all. Nyhan, who worked with 34 different public and private sectors to bring D.C.’s popular park, The Yards, designed by M. Paul Friedberg, FASLA, to life, stressed the need to see the planning vision through on projects of this nature, saying, “you have to keep on persevering through thick and thin,” while keeping an eye on social equity and the importance that art and culture can have on a redevelopment. 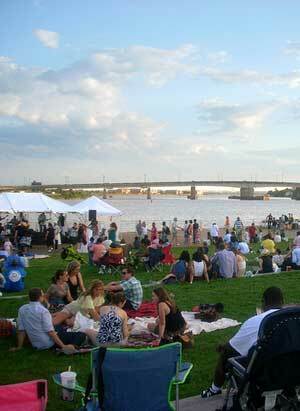 The Yards Park is a great example of a front door. But dealing with a city’s waterways isn’t all recreational fun. As Ways said, while Prince Georges County has a “strong and rich history of connecting” to the riverfront, it has also had to deal with the “dual-edged sword” of the river, and that means flooding. But the issue of flooding and sea levels rising is a real and serious one. To deal with this, the level of The Yards was raised to get it out of the flood plain, as well as integrating rain gardens to mitigate excessive storm water. Prince Georges County has been raising their levees since 2007 and has instituted the “Rain Tax,” as constituents are calling it, something Ways says forces people to think about the impact that acres of impervious surfaces on their property have on storm water. The overall consensus of the panel: rivers are not only important arteries for commerce, they are places for recreation and are an indicator of a community’s health. It’s important that cities and communities that border rivers “redefine their edges,” as Brandes said, and seize the opportunity to make these changes. They should be front doors, not just back doors. Where people see despair, some architects see opportunities for change. These architects can use the power of design to transform communities and even nations, said Architecture for Humanity co-founder Cameron Sinclair, during a keynote presentation at the American Institute of Architects (AIA)’s annual conference in Denver. Sinclair explored what he called the core passion of the architectural profession: the desire to leave the world better than we found it. Founded in 1999, Architecture for Humanity works with architects around the world, drawing upon their skills and enthusiasm to meet humanitarian crises through design and pro-bono projects. Sinclair says his desire to positively shape the world started during his childhood in a very poor South London neighborhood. When he was around five or six years old, he would play with Legos, “trying to reorganize towns so people would feel good living there.” He realized he wanted to become an architect and improve lives. Sinclair described the evolution of Architecture for Humanity — from its early start in 1999 as a small studio in New York City to what he called “the largest architectural firm in the world” with offices across the globe that have built structures for 2.5 million people. There are many compelling examples of the group’s humanitarian work around the globe–including the earthquake and tsunami rebuilding efforts in northern Japan, long-term reconstruction in Haiti, and post-Hurricane Sandy restoration projects. Economic development is actually an integral part of this work. The key, said Sinclair, is to partner with locally-licensed professionals and design communities with the people who actually live in them. Training is provided to construction professionals, local craftsmanship is integrated within buildings, and project ownership is eventually transferred to community leaders. He also described the value of healthy spaces. “We have built cities and towns that create inactivity,” he said, pointing out that today’s children are the first generation to have a shorter life expectancy than their parents. He called the creation of more active spaces a “design problem” that could provide architects with more work for the next decade in five key areas–open spaces, urban design and land use, transportation, schools, and the workplace. See Sinclair’s entire presentation online and check out his book, Design Like You Give a Damn. 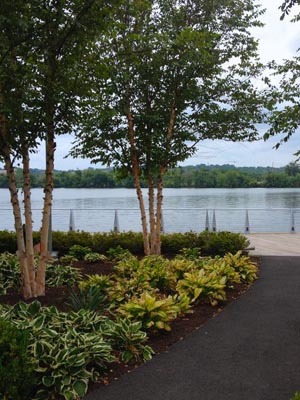 This guest post is by Karen Trimbath, ASLA’s Public Relations Manager. He joked that we no longer have “time for the meeting of the flat earth society,” comparing climate change deniers to those who too long remain unconvinced that the Earth was round. “We can’t stick our heads in the sand” on this one. Indeed, the President said the past 12 out of 15 years have been the hottest ever recorded, as global carbon dioxide emissions have reached record highs. 2012 was actually the hottest single year on record. Average ocean temperatures have reached their highest points, while the Arctic’s ice has shrunk to its smallest size ever. While “droughts, floods, and extreme storms go back to ancient times,” weather events are becoming more extreme as water levels rise. President Obama said the water in New York harbor is one feet higher than it was a century ago, which made Hurricane Sandy far worse. Temperature changes were also behind the recent destructive dust bowl that hit the Midwest, and the subsequent heavy rains and storms that inundated farmers. This past year, wildfires consumed an area larger than Maryland. While some environmental and conservation organizations have criticized Obama for not doing enough on the environment, he said progress was made over his first term. The U.S. has managed to further reduce carbon dioxide emissions, recently hitting a 20-year low. “No country has reduced carbon emissions as much as us since 2006.” His administration has doubled wind and solar power, building on investments President George W. Bush made as well. By the middle of the next decade, the Obama administration will have doubled mileage per gallon. The U.S. is now producing more of its own energy, with the rise of destructive hydraulic fracturing (fracking) to get at more natural gas. Moving forward, President Obama will ask the E.P.A. to regulate carbon dioxide emissions from both new and existing power plants, the first time the U.S. government is doing this. 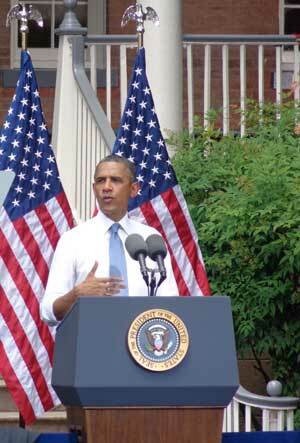 “Right now, there are no federal regulations on carbon from these plants. They can dump for free. It’s not right or safe and needs to stop.” The president said he would take a flexible approach and ask the E.P.A. to “develop standards in an open and transparent way.” Already some states are modernizing how they regulate power plant emissions. There wasn’t much discussion on energy efficiency, other than that administration will push for more stringent energy standards for appliances. He mentioned that buildings account for more than 30 percent of emissions, but didn’t reach out to the design community to ask them to accelerate progress on Architecture 2030 through efforts like LEED and the Sustainable Sites Initiative™ (SITES®). The design and construction industries are making progress on changing practices but green buildings and landscapes still remain a stubbornly small share of the total stock out there. Speaking of landscapes though, President Obama did seem to make the case for incorporating green infrastructure into the mix when dealing with climate adaptation efforts. 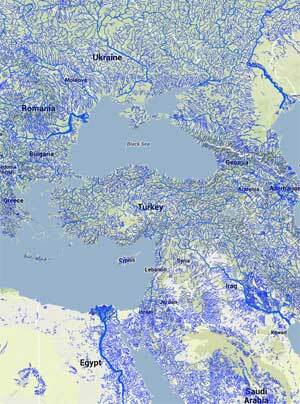 “We can reduce the risks of flooding by using natural barriers. Dunes and wetlands can do double duty as storm and flood protection.” Perhaps he’s the first president to make the case for using natural systems to deal with these difficult water challenges. His broader remarks though were about the need for “smarter, more resilient infrastructure,” whether it’s green or grey. As an example, he pointed to a number of communities like Miami Beach, Florida, which have asked the federal government for funds to adapt to climate change by strengthening their infrastructure against storms, flooding, and salt water intrusion. More federal funds will be made available to communities to plan and implement these kinds of projects. Indeed, this book could be used as a travel guide. 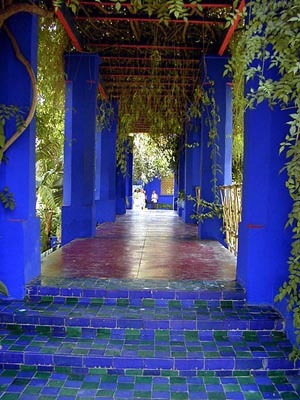 Colleu-Dumond has gathered a list of 24 contemporary gardens that she considers “must-sees.” These gardens range from the Majorelle Garden in Marrakech, Morrocco, which was designed by Jacques Majorelle, a French painter, to the Jardins de l’Imaginaire (Gardens of the Imagination) in Terrasson, France, designed by American landscape architect Kathryn Gustafson, ASLA, and the Red Sand Garden at the Royal Botanic Gardens Cranbourne in Cranbourne, Australia, which was designed by Taylor Cullity Lethlean and Paul Thompson, two landscape artists. 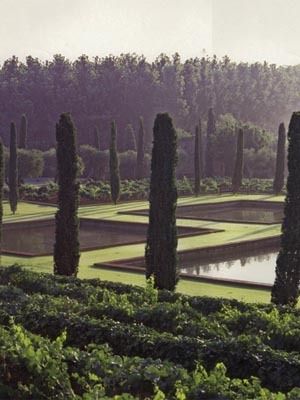 These must-see gardens all over the world offer something for everyone. 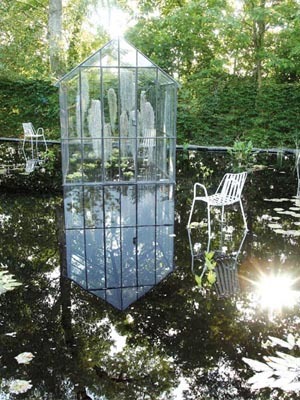 This is contrasted with the philosophy of a designer like American landscape architect, Martha Schwartz, FASLA, who is known for her plantless gardens. 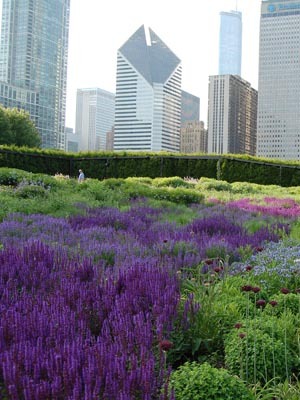 Schwartz is “critical of the artificial nature of urban gardens” and makes us reconsider our standard idea of a garden. 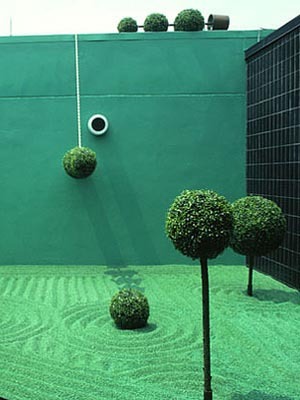 The only greenery in her Splice Garden is artificial topiary. 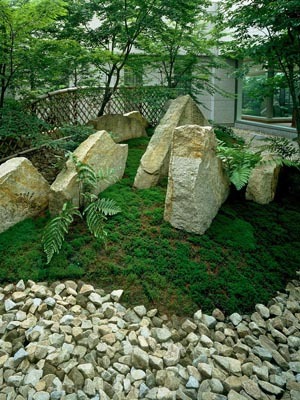 Her garden is a combination of a traditional Italian Renaissance garden and a Japanese Zen garden. There are a number of ways to take advantage of this book, not least of which is to flip through and enjoy the pictures. 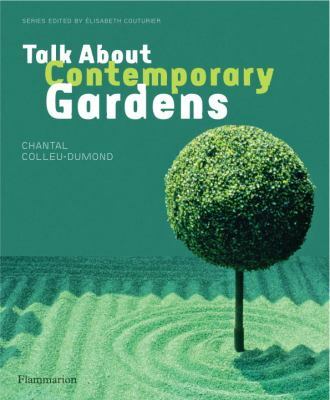 Talk About Contemporary Gardens is a gorgeous book, jam packed with beautiful photographs of the gardens that Chantal Colleu-Dumond clearly loves. Suzanne Blier is Allen Whitehill Clowes Professor of Fine Arts and of African and African American Studies at Harvard University. She is an historian of African art and architecture in both the History of Art and Architecture and African and African American Studies Departments. She also is a member of the Institute for Quantitative Social Science. 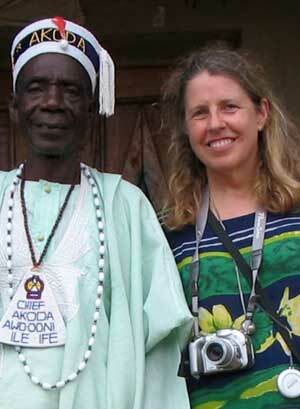 She is Co-Chair of an Electronic Geo-Spatial Database AfricaMap, a site that expanded into WorldMap. WorldMap is an open source GIS tool that enables anyone anywhere in the world to create their own maps and overlay them with data for free. Why did Harvard create this? GIS has been transformed in the last 20 years. I was using it in a project when I moved up to Harvard from Columbia in the early 1990s. I received some outside funding to put together a GIS mapping system of Africa. When that project came to a conclusion, I applied for some additional funding for innovative computing. At that time, Harvard had established a new center for geographic analysis. They hired a really brilliant young GIS scientist named Ben Lewis, who is a graduate of University of Pennsylvania program in urban planning. It was his belief that one could actually put together a system, making it available to everyone using open source technology. This is what became WorldMap. We began with Africa. The idea was to bring together the best available mapping anywhere in a format that would allow us to overlay different kinds of data. 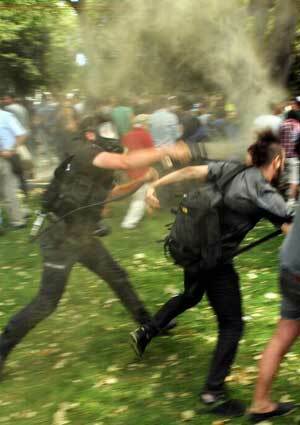 Soon, other people around Harvard began to look at it. From the sociology to the geology to the history departments, other scholars said, “we’d love to do that as well.” And there was serendipity: this was the first large project at the new Center for Geographic Analysis. There, lots of people contributed ideas. Why not just use Google maps engine or ArcGIS? You can go into WorldMap, create a project there, and upload it to Google Earth. We do bring in Google mapping and other mapping data. The two are not at odds in that way but you can do more with WorldMap. For example, if you are creating a project in Google Earth, you can’t bring in other mapping data and then share with others as you can in WorldMap. 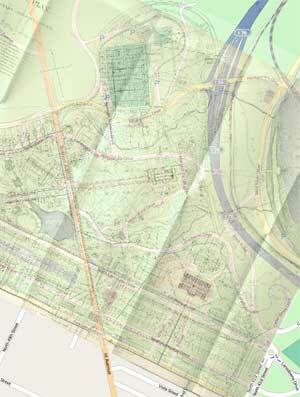 With our site, you can bring in your own historic mapping data. You can bring in text, images, or video. With the system one is encouraged to draw on any available mapping resources to build one’s own. You can also create and visualize things as you want in your own way, give them your own look, and have your own data symbolized and presented as you like. ArcGIS is a terrific product. It’s still very effective, used by many, as well it should be. As you probably know, it’s very complex to learn. I’ve approached how many undergrads and grad students, trying to convince them that it’s worth the time spent to do it. But it’s still like climbing up a cliff with a bicycle. There are cost factors, too, for people using ArcGIS. Granted, you can use it in part online now, but we didn’t think there was the same kind of potential for bringing in your own data, historic maps, sociological data into the system, then being able to share it with other people in the same kinds of ways. We’re collaborating with ESRI, too. There’s plenty of room for both kinds of products. Each of them offers something slightly different. In some ways, WorldMap can be more easily grasped by the less technically astute among us, whether a landscape architect, planner, historian, or student. I also really love the way we can share our projects with people anywhere in the world. I’ve seen map makers on WorldMap already overlaying river systems, poverty rates, ethnic groups, and then showing how these have changed over time. What other types of layers are people using? What are the most popular mash-ups? We should be hungry to learn not just from what our own individual disciplines are offering, but from what everybody else is doing. This technology allows one to do that. So sociologists are bringing in different kinds of data than we might be, a lot of demographic data, information on transportation systems, neighborhoods, etc. Landscape architects and urban planners offer new data on some environmental questions, ecosystems, and city plans. You can go through all of the different layers people have brought in and see what are the most popular. These tend to be environmental — river systems like you mentioned — and ecosystems, but also transportation, railroads, etc. A number of projects have taken up historical data we brought in from Euro Atlas, which shows the history of Europe going back to the earliest period. And because WorldMap users are generally happy sharing their data, there is a lot to chose from. 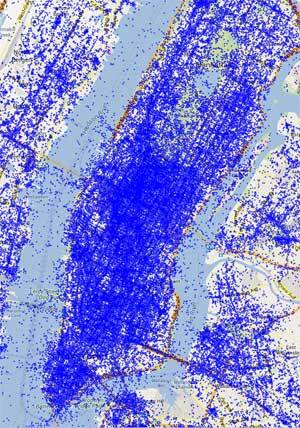 Almost 90-95 percent of the map data can be used by anyone. You can bring those layers into your own layers. It’s a little bit like Wikipedia in this sense. You can build your own map in part out of what other people put together, but done in new ways that suit your research interests. You mentioned AfricaMap, your project that then created this larger World Map. In Africa Map, users can overlay religions and ethnic groups. They can see areas where there’s high population density. They can use the map to imagine transatlantic trade routes. There are historical maps, which I really love, dating back to 1606, which seem to magically appear over the baseline Google maps. How is this powerful tool being used? Is it being used in ways you didn’t expect? 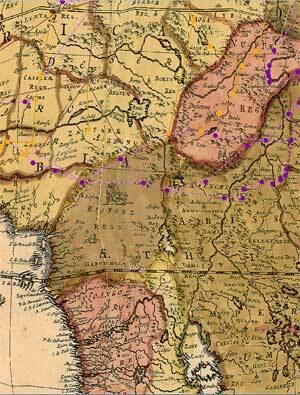 I’m also fascinated with the seeming magic of taking early maps and laying them on top of current ones. One the most fabulous additions in the development of the system was when we created our map warper or map rectifier. This means you can take any historical map or any map, whether it’s of the world, a continent, a country, a city, a neighborhood, a street corner, and very quickly add three or four points — more if it’s a very historic map, because of discrepancies. You can then co-join the lat-longs and bring this map into your own mapping system. You can also take a map or plan that may be poorly done or is under copyright, but you’re really interested in the data. Well, we’ve also provided the means so that you can in essence use WorldMap like tracing paper. You can basically copy it by adding lines, points, and shapes on top of it, stylize it in new ways, and create your own particular manifestation of that plan. Some interesting work is being done within or on the perimeters of a new project in WorldMap called TweetMap. This project in WorldMap has been used to harvest all of the geo-referenced data in Twitter. You can do a search within that. You can frame it by time or a particular area for any term or phrase you might want. That could be really useful for thinking through perceptions of the city. Twitter Map was developed originally by Todd Mostak, a student in Middle Eastern studies, and the Kennedy School here. He was interested in the Arab Spring and locating how that was being framed in Twitter. Another fascinating map by Professor Colin Gordon, University of Iowa, maps decline in St. Louis, showing how blight took over parts of the city. 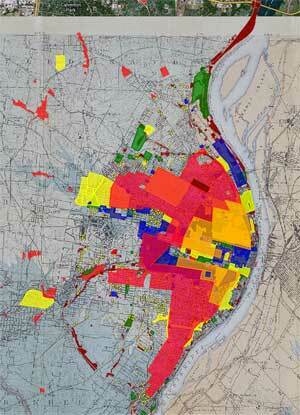 The map tells a powerful visual story of blight and then redevelopment. What kind of urban stories are you also seeing told? What else could this tool be used for in terms of urban policy, advocacy, or even design? His project is a fascinating one. 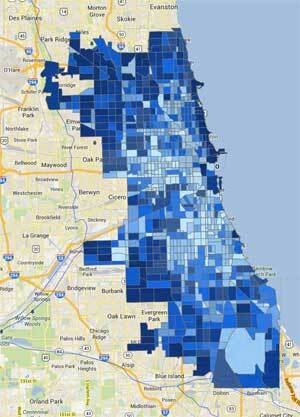 There’s a corollary in Chicago, another important map in WorldMap by another sociologist named Robert Sampson. One important thing with both Professor Gordon’s and Professor Sampson’s projects is they’ve actually integrated their WorldMap projects into books that they’ve recently published. A graduate student here is using WorldMap to analyze New Orleans, thinking through the early history of the city where the slave markets were, how the concept of neighborhoods were changing in the city from the early Spanish and French periods to the later American period. You can even correlate that with building design changes. I’ve been fascinated with the impact of World’s Fairs on cities so I’ve put up a series of World Fair plans, whether it’s St. Louis, San Francisco, Chicago, Brussels, or New York City. You soon realize how important some of these World’s Fairs were in terms of the changing dynamic of the city. 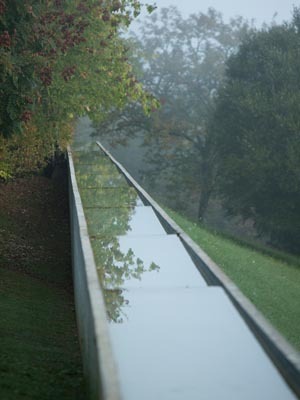 That brings in plans from great landscape architects such as Frederick Law Olmsted. We also have a plan up of the 1876 World’s Fair in Philadelphia. Of course, as you know, some of the World Fair buildings are still standing. You can overlay on top of this not just the plan of the fair, but also the plans of the landscapes and buildings at the fair. 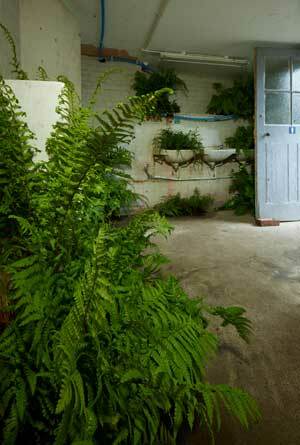 You can then embed into this project photographs taken at the fair. Within WorldMap, you can link directly to photographs and add points by creating particular symbolic icons so that once you click on them, you’ll be able see what was the view in 1876 or whenever. Landscape architects, planners, and other design professionals could really use WorldMap to root designs in local social and economic contexts and even histories. These maps could also be used to create compelling presentations of different design alternatives. How do you think designers should be using WorldMap? What features do you think would be most useful for them? There’s some terrific work being done by Europeans using WorldMap to evaluate economic disparities in European cities. There’s one on Athens. There’s another fabulous set on Barcelona. One of the great things about World Map is you can actually make it a collaborative project — not just for landscape architects per se, but also for the people who are living in and with these landscapes. You can bring in the informal. We have provided people in these communities with the tools to upload their own data, let’s say their own experiences in a landscape through text, video, or photographs. That could be a really positive addition to landscape architecture preservation, and help outline the importance of these places as lived space. 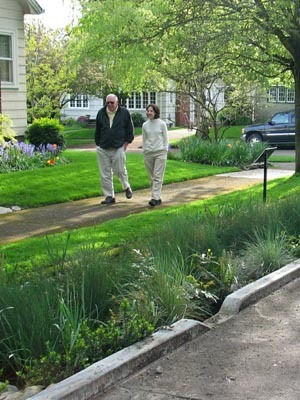 You can use this tool to promote the importance of landscape architecture in school systems, from K to 12, getting teachers and students to use this to upload information about their own experiences with their landscape and help to preserve them at the same time — to not just preserve them historically, but also to become caretakers for these spaces. You could compare the area of X plot of land versus Y plot of land or distances or simply add cell phone and other imagery of a particular landscape. We are increasingly thinking about pooling resources in documenting the works of key individuals, whether it’s Frederick Law Olmsted or Frank Lloyd Wright. People who use these parks or live in these structures can create a project on WorldMap, with people in different locations adding information. Making these maps available on the site to the world — and really using these people to do some of the more labor intensive and expensive work of geo-referencing plans — is a great idea. Lastly, are you worried that people will misuse these maps, display false data to build specious cases? If data can be manipulated, is there any truth in maps? Well, personally, I would love to see the creation of fictional maps, imaginary places based on real places. That’s the positive side. Another positive side is that we now have a tool to evaluate maps, meaning that we are providing a means for users of WorldMap to tag maps and identify those that are really well done versus those that are problematic. That’s the open source nature of it. We don’t have enough staff to go through and evaluate maps, nor is it something we want to do. We would rather keep this as a toolbox available to everyone and rely on people who are using these maps to let us know if there’s something that is indeed really problematic. Maps are things that have this necessary complexity. There will always be disagreements on borders, for example, now between China and India. At WorldMap, we’re perfectly happy to have a Chinese and an Indian version and various ones in between. Some of these disagreements are enriched or complicated by the possibility of creating competing maps. In the same way that river systems notoriously change over time, which is why you shouldn’t geo-reference from them, these kinds of discrepancies are great within a system. It’s far easier to create or change something in WorldMap than in a printed book. WorldMap allows for more creative approaches and different opinions in map making. 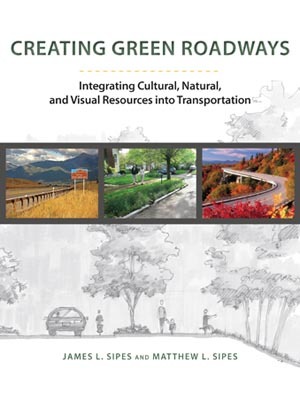 With common language, thorough research and numerous case studies, the Sipes provide the reader with sound arguments for making our roadways green. They define green roadways as highways and roads that are site specific, that respect both the visual character of the place as well as plant and animal life. Green roadways work with a site’s watershed, maintain green corridors, and protect open spaces. 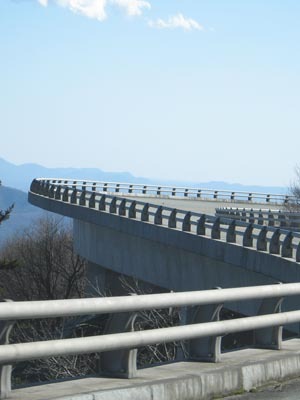 It is possible, the authors maintain, to create roads that both meet traditional engineering standards and minimize their impact on the environment. More than that, though, green roadways are about getting people out of their cars – walking, biking and using public transportation. They contend that the time is ripe for this green conversion, citing quite a few scary statistics: 33 percent of our nation’s roadways are in “poor or mediocre” condition; 36 percent of our major urban highways are congested; and 26 percent of bridges are “structurally deficient or functionally obsolete.” They point to the collapse of the I-35 W bridge over the Mississippi in Minneapolis as an example of what might happen if we don’t make these changes. And not to put too fine a point on it, since the book has gone to press, yet another bridge has collapsed, this time on I-5 over the Skagit River in Washington State. 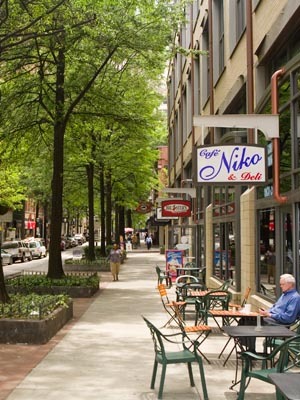 In urban and suburban areas, especially on local and neighborhood roads, the move should be on “de-emphasizing roads.” They should be narrowed and their visual impact lessened, sidewalks widened, and opportunities for sociability increased. 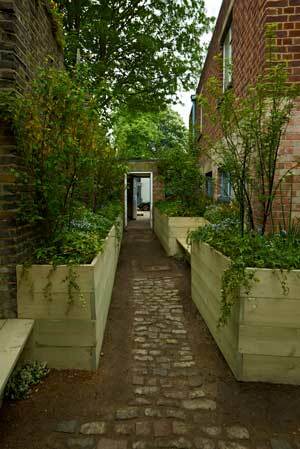 The use of rain gardens and bioswales rather than a reliance on drains also lessens the environmental impact of roads. 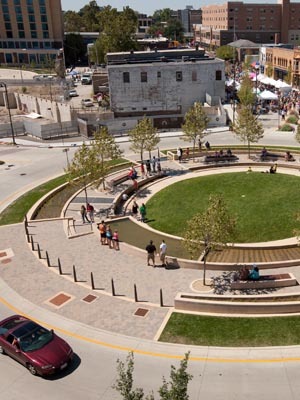 Greener roundabouts can be used to slow traffic, and in the case of the roundabout in Normal, Illinois, it was designed as a community gathering places as well as a system for underground storm water collection. 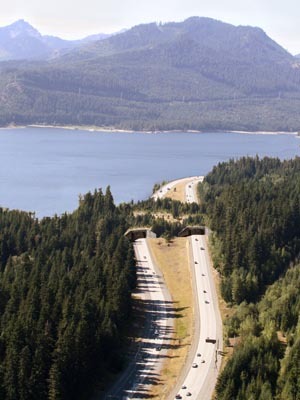 Our interstates can be retrofitted to allow for wildlife crossings, either as land bridges or underpasses, which protect habitat and wildlife populations that live around highways. The authors note that the average cost of repair to a vehicle after a crash involving an animal is $2,900, a figure that certainly makes these changes worthwhile. 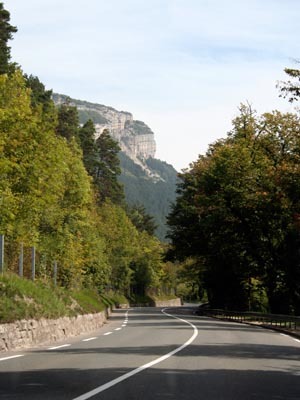 Both Sipes, who do believe there is still a place for pleasure driving, especially along the nation’s scenic and historic roads, provide the reader with examples of roads that are done well. They also offer recommendations for protecting the environmental, cultural and historical resources along these roadways. 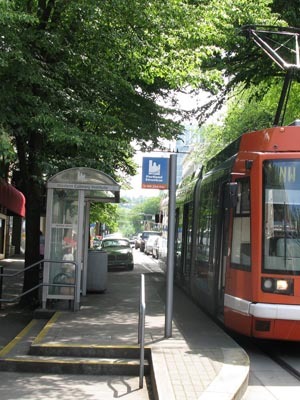 The authors are dedicated to turning our transportation systems to assets, not liabilities, and have written a book to help guide this transformation. 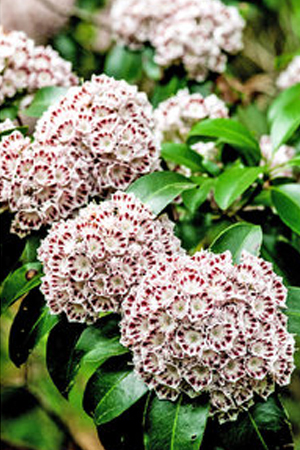 Image credit: Mountain laurel at Brooklyn Botanic Garden / Randy Harris for The New York Times. 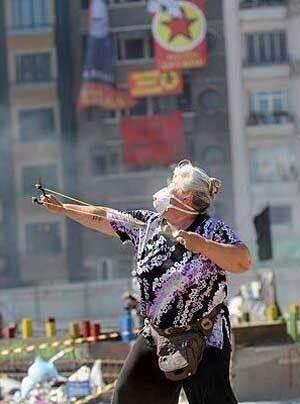 I have been under stress watching the recent events take place in my native Turkey. These events began with peaceful demonstrations on May 29 by environmentally-minded citizens who wanted to preserve one of the last remaining green spaces in Istanbul. They did not want to see the demolition and privatization of a public park known as Gezi (Promenade) Park in a major public open space in the district of Taksim. However, excessive use of force by the riot police — with their use of water cannons, rubber bullets, and tear gas to disperse the demonstrators — quickly brought more protesters, who then introduced an anti-government agenda. Public gatherings in support of the Gezi Park as well as anti-government demonstrations quickly spread over to other major cities and 78 of Turkey’s 81 provinces. 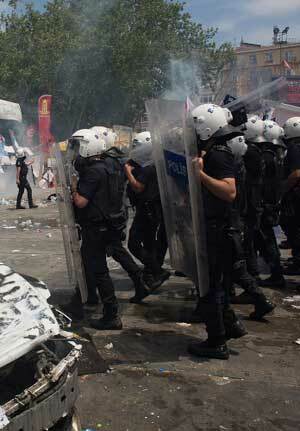 The use of excessive force by police to disperse the protestors in Istanbul, the capital city of Ankara, and the third largest city Izmir, has been clearly documented by the international media. As a result, Prime Minister Recep Tayyip Erdoğan and his religious-based conservative government look vulnerable for the first time in his ten-year administration. Despite significant economic successes under his leadership, this episode has the potential to tarnish the international image and reputation of Turkey, a majority Muslim country with a strongly secular tradition. I believe these sad developments can be linked to the top-down planning style of the Prime Minister, who once again took center stage to explain his vision for this public square and park during these tragic events. Furthermore, instead of trying to calm the protestors and approve the requested dialog for public participation, the PM sent in his supporters in addition to riot police. The plans by the Istanbul city government, which were strongly promoted by the PM, initially called for razing the park to build a shopping mall inspired by a demolished Ottoman Military Barracks. Based on initial protests, the PM backed off plans for a shopping mall on the site, but there are still plans to remove the existing park and building “something” there. For the rest of the Taksim Square, the PM calls for removing several stores to bring an existing church into the open and build a “major mosque” on the other side of the street, in a location that used to be a private theater for musical performances. This is proposed under the guise of open dialog and respect for both religions. As an educator, I would call the proposed overall plan for the square and the park sophomoric at best. This park has been the subject of many of my projects when I was an undergraduate student in late 1970s. Over the years the park has been encroached upon along its edges and has received minimal maintenance and care; an occasional bench replacement is about that seems to be done. 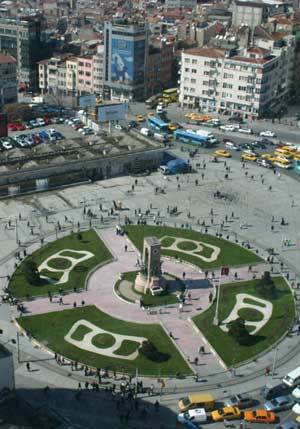 Despite their neglect, trees have matured and provide the only shaded area and refuge from the highly-motorized greater Taksim square. The current state of the park reminds me of Bryant Park in New York City prior to its most recent renovations. It’s true that something needs to be done to take advantage of this wonderful green oasis in the sea of cars dominating Taksim Square. However, the proposed removal of the park to establish a private shopping center or “something” is not what is needed. The use of earlier Ottoman Military Barracks as an inspiration for the proposed shopping center (or some other type of building) is also highly questionable. These barracks were the scene of one of the bloodiest uprisings by mullahs, who wanted religious laws enacted during the last decades of the Ottoman Empire (similar to those used in Iran or by the Taliban today). Atatürk (Father of Turks), the founder of today’s modern Turkey, was the Ottoman Military commander who quashed these uprisings in the late 1800s and consequently ordered the destruction of the barracks after the establishment of Turkey in 1923. The promotion of the image of these barracks by the PM as a back drop to the proposed developments begs the question: how much respect does the current government have for the strong secular traditions of the country? The proposed plans do not seem to give even a cursory thought to the needs of pedestrians. They do not offer any significant design elements for the human scale. 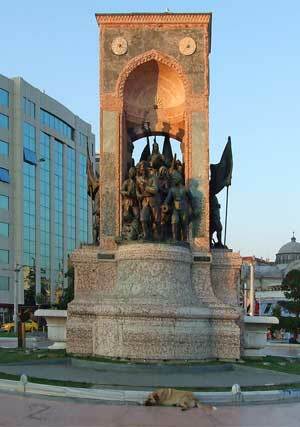 Perhaps another unstated objective of the PM is to minimize and eventually remove the monument to the Independence War, which houses sculptures of Atatürk, his commanders, and the unknown soldiers during the final days of the occupied Ottoman Empire. The videos released by the metropolitan city government of the proposed development make this meaningful landmark look as insignificant as an ant. PM Erdoğan’s government owes some of its economic successes to the privatization of many government institutions, holdings, and services. Some of these privatization efforts were perhaps necessary to encourage private financing and development. But selling national treasures is highly questionable. The government has sold parts of the first model farm in Ankara established by Ataturk to international clients to establish a private resort. At the present, there is extensive clear cutting in the Atatürk Farm. Let me explain the significance of this: Could you imagine the U.S. Government selling President Jefferson’s Monticello? Similarly, how would the American public react if the U.S. Government or the National Parks Service were to sell some of much-cherished open fields not covered by memorials in the National Mall in Washington, D.C. for a private shopping mall development? This is exactly what is happening in Istanbul and other cities in Turkey. All of these tragic events could have been avoided if either the PM Erdoğan or his representatives were to institute a public hearing system in their planning and design process. Instead the PM is more concerned with the demonstrators questioning his authority and calls them “çapulcu,” meaning marginal and extreme. At other times, he’s called these concerned citizens of Turkey “terrorists.” This is quite ironic considering that it’s the PM’s government who is holding talks with a convicted killer and the head of the internationally recognized terrorist group PKK (Kurdish Separatists). Prime Minister Erdogan PM and all of his representatives must recognize they are elected to represent the people. These people have shown up in unprecedented numbers to express their opinions and represent themselves. If the PM and his government continue to ignore the voice of the people, they may not be re-elected as the peoples’ representatives. Finally, Mr. Erdoğan needs to make up his mind if he wants to be the Prime Minister of Turkey, the Mayor of City of Istanbul, or an urban designer. If the Prime Minister has no intention of going back to school, then he should let the real design professionals do their job and concentrate on managing the government in a way that will make all Turkish citizens proud. 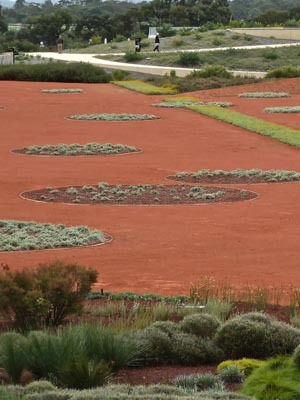 This guest post is by Professor Sadik Artunc, FASLA, RLA, head of the department of landscape architecture, Mississippi State University. A native of Turkey, Professor Artunc has a BS and MS in forestry and forest engineering from the University of Istanbul and an MLA from the University of Michigan. Prior to arriving in the United States in 1975, he worked in Turkey as a forester for the Ministry of Forestry, as a recreation planner in the Central Planning Office, and as the planning director of the Olympus National Park for the Department of National Parks. 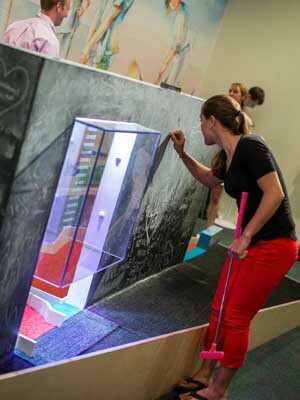 The National Building Museum’s summer mini-golf is back, this time with two courses of nine holes each. Each hole was constructed around the theme “Building the Future” and was designed by a variety of architects, landscape architects, designers and contractors. A group of four of us played through both courses; the highlights, favorites and frustrations of which are detailed below. Perhaps the coolest looking hole on either course was Holograph Hole on the Green course. 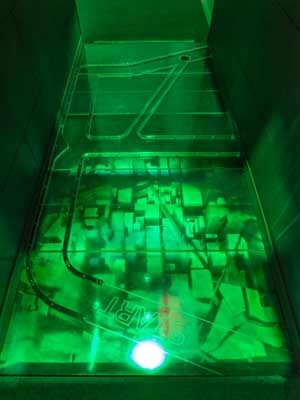 Designed and built by architecture firm Skidmore, Ownings & Merrill with help from students at Catholic University’s School of Architecture, this hole featured a 3-D virtual cityscape in glowing holographic green. Calling attention to the digital tools that architects now use, this hole highlights how 3-D technology is also changing the design process. Par was 2. Half of our crew scored on par, the other half a 3. Is it an acceptable excuse to say the sci-fi surroundings were a bit distracting because they were just so awesome? 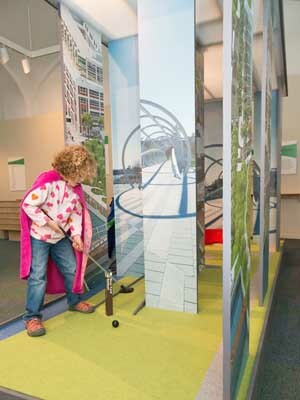 FOREward Thinking, hole 6 on the Green course, was built and designed by STUDIOS Architecture, under the premise that we can be sustainable by revitalizing old buildings. Common materials came together in the construction of this hole, along with two separate paths, one of which was up a ramp and down a xylophone. This route was, of course, not the direct route. Par was 3, which our group easily made, with the exception of yours truly, who got stuck trying unsuccessfully to use the xylophone. This resulted in 2 over par, though the invitation to draw on the chalkboard walls took away some of the sting. Hole 8 on the Green Course, Capital RiverGreen, designed by Shalom Baranes Associates and built by Winmar Construction, showcases D.C.’s relatively new Yards Park, which runs along the Anacostia River. Depending on where you stand, panels line up to create large pictures of the landscape in and surrounding the park. Play is directed around a tiny Navy Yard Metro sign and over the park’s iconic bridge rendered in miniature. Enjoyment of this hole has to do with an interest in community green space and not just because of a score of 2 on a par 3. Our merry band of mini golf players made it through the “easy” Green Course, which was par 25, with a respectable 24 and 25, as well as a slightly less than respectable 26 and 28. But who’s judging? We’re just having fun. On to the Blue Course, which, you guessed it, was the “hard” course. Some of the holes on this course seem nearer to impossible than hard, but again, who’s judging? First up was Mount Vernon Triangulation, which at first blush is deceptively simple – lines of light form triangles on a flat rectangle with a straight path to the hole. Then you step on it and realize that where you stand affects the shape of the putting green. Designer, E/L Studio, and builders, Think Make Build; FLOR; and Independent Custom Metalworks, want to teach participants about triangulation, which is a process that determines a location by using other known and fixed points. Upon closer inspection, the lines of blue lights also form a map of the Mount Vernon Triangle. It is possible to direct the ball by jumping from side to side and changing the shape of the course rather like a game of pinball, but no need, we were all off to a good start scoring on par or below on this hole’s par 3. The Evolution of the Office, Hole 2, which was designed by Determined by Design and built by DAVIS Construction, reminds us that technology has fundamentally changed how, and where, we work. Our laptops and smartphones give us the opportunity to take our work from the office to the park bench. 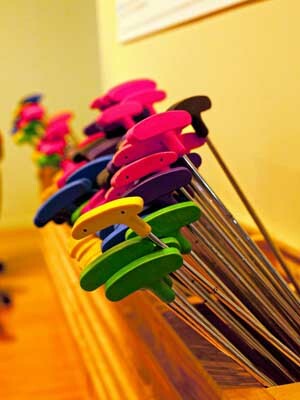 This, like many holes on the Blue course, provides the player with two routes, generally one more direct than the other. Not wanting to say no to challenge, I chose the route over the desks and back around the park bench. The angle is a bit awkward and high off the ground, so it seemed like a good idea to use the club like a pool cue. That is until the ball went flying off the bench and landed on the other side of the room. This resulted in a score of 4, 2 over par, with my mini-golf associates scoring at par, or 1 over. You might guess who chose the direct route. 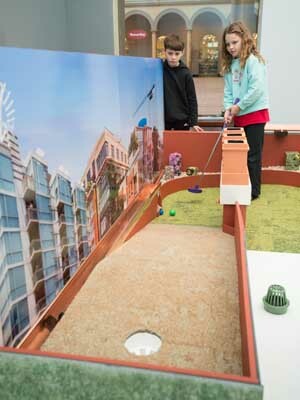 Hole 4, The Future’s Looking Up!, designed by Bonstra I Haresign Architects and built by Monarc Construction, shows the player the latest in green roof technology. 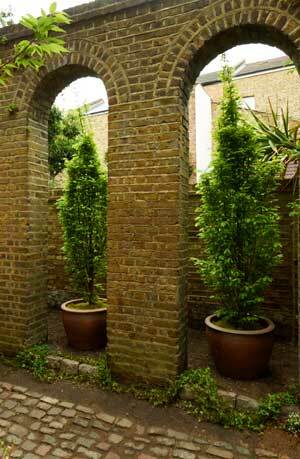 Play is a straight shot uphill, once you get past the drainage elements and round the chimney. But don’t get too confident, or you’ll end up in the roof’s gutter which sends you back down the hill. Par was 3, though only one in our group scored that, with the rest of us scoring a very sorry and disappointing 6. Tomorrow’s Water, Hole 5, sponsored by the American Society of Landscape Architects (ASLA) and designed and built by students at Virginia Tech’s Washington-Alexandria Architecture Center is not only arguably the most beautiful hole on either course, it is without question one of the most difficult. 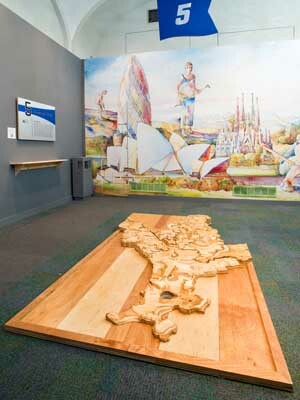 Carved in layered wood, this hole shows in topographic detail D.C.’s watershed and forces the player to confront something that few of us ever consider in our day-to-day lives: Where does storm water go and how does it get there? Par is 3, though if it weren’t for witnessing a hole in one, one might argue par should be nigh impossible. Unlike water which flows where it will, there is one route that will lead you directly to the hole, but beware falling off the edge. If that happens, you might have to call it at 6 strokes rather than admitting the 15 strokes you took to try and get back on track. The Blue Course’s Hole 7 provides a much needed respite after the frustrations of some of the earlier holes on the course. Imagination Powers the Future, designed and built by Hargrove, Inc., is whimsical, colorful, and a direct shot with a par 3. 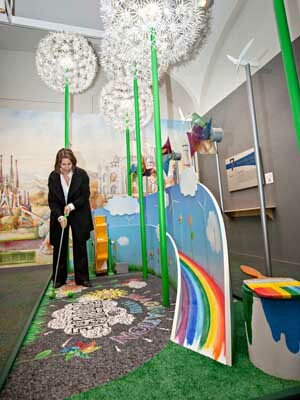 This hole is based on the idea that imagination and creativity make the world a better place. We were all happy to make it under par, with one in the group getting a hole in one. 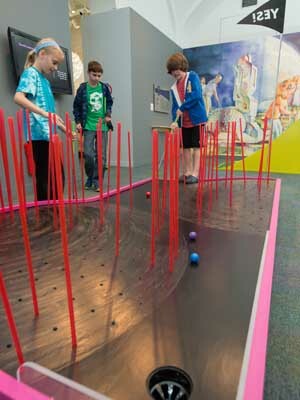 The last hole on the Blue Course, PARticipatory TERRAIN, designed by D.C.-based landscape architecture firm, Landscape Architecture Bureau (LAB), built by Harkins Builders, and sponsored by The JBG Companies, requires the player to choose a side on a yes or no question, and by placing a pink plastic rod on the side of their answer, decide themselves how to change the route to the hole. The question our group confronted, “Should we prepare for an asteroid to hit the earth?” was split pretty evenly between the yes and no camps, something that may have helped direct the ball neatly to the hole, under the par 3, with one of us scoring a hole in one. Come back each week for a new question, and new challenge. Blue Course’s par was a 26, and proved for most of us to be as much of a challenge as it was billed to be. We scored a 29, a 31 (uffda, that’s yours truly), a 23 (show-off), and a 28. At $5 per course per person, this is truly a fun time. 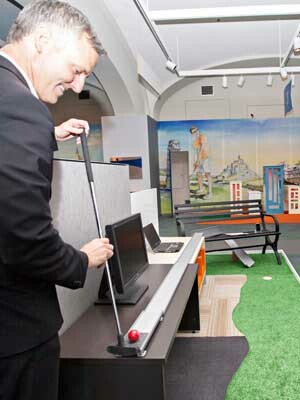 Come down and show off your mad mini-golf skills and prove you’re up for the challenge. 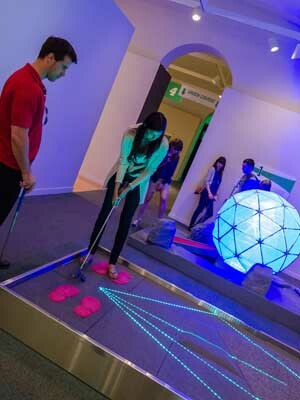 The National Building Museum’s Mini-Golf runs now through Labor Day, with a few late nights this summer where you can couple with BBQ and a live band. Don’t miss it. You might learn something, too. The Chelsea Fringe, a volunteer-driven, public garden festival, is only a year old but already had 150 events this summer. 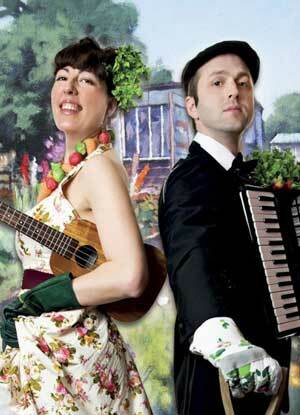 According to the Fringe, some 45,000 were exposed to their free community garden events, avant-garde art installations, workshops, dinners, and “street happenings.” Unlike the Chelsea garden show, which has a stringent selection process and then awards prizes, the Chelsea Fringe is totally open-access, designed for the masses. “If it’s interesting, legal and on the topic of plants, gardens, or landscape, it’s in.” The goal now is to spread the Chelsea Fringe to other cities. It already seems to be working: satellite Fringes have popped-up in Vienna, Brighton, Bristol, and Kent. 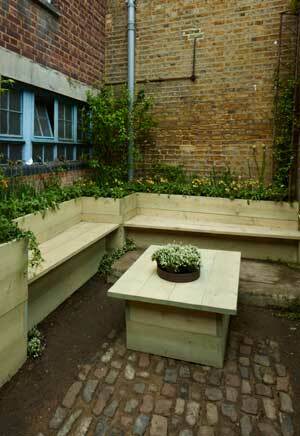 Hughes used benches of “simple, everyday materials,” which she set into raised beds. The result is a “functional, sociable garden for the yard’s residents and visitors, utterly different from the abandoned space that went before.” Indeed, the Fringe was hosting “tapas in the toilets” parties there. 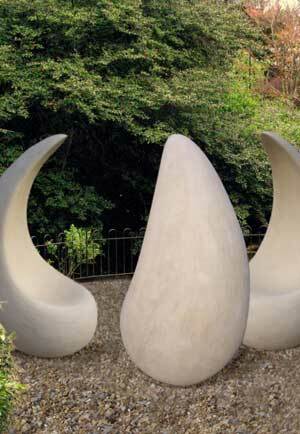 Another small-scale project worth highlighting: Felicia Fletcher’s Podhenge is designed to be an “interactive sculpture.” Organic forms that resemble pods offer a place to sit and an “assuring sense of containment.” Fletcher is selling them either in reinforced bronze resin or cast stone. 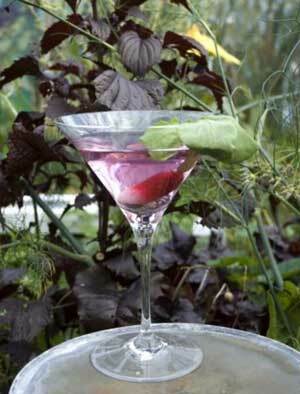 The Chelsea Fringe festival just ended its three-week run in London and other cities, but check out their web site for ideas about how to start your own garden festival and bring a bit of wild, pop-up vegetation to your community.